Just about everything is online these days. More people are coming to replace their desktop-based tools with ones that are web-based, shifting to browser-based email and word processing, for instance. While the majority of files will still be stored on a local hard drive on the computer, many files are being uploaded to cloud computing services for storage and/or sharing. Online storage solutions can be effective for file backup, as well as for ease of remote access and file sharing with peers.To get the most out of your cloud storage and file sharing services, keep these key tips in mind. Use a web-based e-mail address: When signing up for one of the online file storage services, like Dropbox, use a web-based e-mail address rather than one that is tied to your own domain. This is better for security reasons in case your own server is compromised in some way. This is less of a concern for Google Drive and OneDrive, as they tie into your Google and Microsoft accounts, respectively. Set a very secure password: As with all of your online accounts, use a secure password for your cloud storage account. The password should ideally contain both upper and lowercase letters, as well as numbers and symbols, consisting of at least 8 to 16 characters in total. It is best if no part of the password contains any real words or names. Avoid storing highly sensitive data: Particularly when it comes to online file storage for business purposes, it is absolutely paramount that you should avoid online storage for files that need to be kept completely private and confidential, like financial documents. While the cloud servers may be secure, they can still be compromised, not to mention the possibility of these service providers turning the data over to government agencies. Privacy laws are constantly in flux and are subject to change. Encrypt files and documents as needed: If you must save private information online, then it is best if you encrypt or otherwise protect those files accordingly. When using a file compression utility like WinRAR, there is oftentimes an option to set a password for the resulting file. This is a good way to add an extra level of security to sensitive data. Activate offline access: Online file storage can be very useful, but there may be times that you are without Internet access. This is why offline access can be important. Dropbox has a desktop application that can synchronize with a local folder on your computer. It is also possible to give yourself offline access in Google Drive when using Chrome, though a few extra steps are required. Install smartphone and tablet apps: Logging into a browser to access your files is far more workable on a laptop or desktop computer than it is on a mobile device. Thankfully, there are mobile apps for the vast majority of cloud storage services. These allow you to view, download and sometimes even edit the files that you have stored online via your smartphone or tablet. What's more, many of these apps can be configured such that any photo or video taken with your mobile device will be automatically backed up to a folder in the cloud. Organize your files and folders: While some cloud storage service providers have an online browser-based user interface that allows you to search for specific files, it is usually in your best interest to have your files reasonably organized into a hierarchical folder structure that makes sense to you. This way, you can find the files that you need quickly and easily. Share your documents and files: When in the local Dropbox folder on your Windows computer, you can right click on any file to bring up the contextual menu. From there, you can select to copy the share URL to your clipboard, sharing the selected file with just about anyone through any communication channel. With Google Drive documents, it is possible to share files with others so that they may only view them, or you can grant certain users the ability to edit. Use one-time sharing links: Your cloud storage account may have limited capacity, which can prove problematic when you want to share multiple files that are quite large. There are a number of file sharing services that can help to alleviate this burden, like Hightail (formerly YouSendIt). You upload the files once and they can be shared with anyone. There are both free and paid options. Get bonus Dropbox storage: It is always possible to subscribe to a larger cloud storage plan, but there are also promotions to get extra space for free. When you buy an eligible Samsung phone or tablet, for example, you may be able to get 48GB of free space for up to two years. Check the corresponding Dropbox page for qualifications and other details. Get extra OneDrive capacity: Just as Dropbox partnered with Samsung, Microsoft has partnered with Nokia for special promotions. Select Nokia smartphone owners were invited to receive an extra 20GB of Skydrive cloud storage, which was later rebranded as OneDrive. With Microsoft buying Nokia, similar promotions may continue into the future. Shop for the best rates: Not all cloud storage service providers are priced the same. As with any purchase, it is important to shop around for the best rates for the most amount of capacity. Some of the more popular options include SugarSync, Dropbox, OneDrive, Google Drive and Box.net, among others. Google Drive's plans are among the most affordable, providing 100GB of storage for $1.99 a month, 1TB for $9.99 a month, all the way up to 30TB for $299.99 per month. Store files in multiple locations: While there is a certain convenience to having all your files in one place, you can leverage the many "free" plans available with most online storage providers to amass a larger sum total of cloud storage capacity. Access all of your accounts at once: Larger capacity can be attained by having multiple accounts across multiple services, but access and sharing can become a problem. However, there are apps and services that allow you to access all your online files from just one place. Otixo is one such example. X-plore File Manager for Android is another great example. 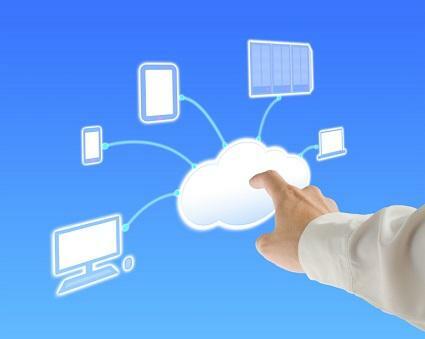 Cloud computing is rapidly increasing in popularity among individuals and corporations alike. Along with the the lowered price of bandwidth and storage solutions, this has made it more affordable and easier than ever to save, store and share your files through cloud storage providers.